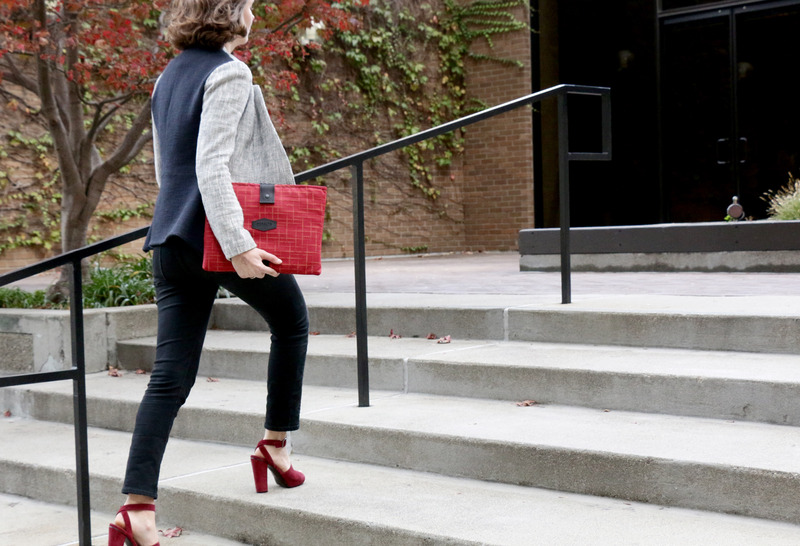 Local Women’s bag designer, PERALTA | San Francisco, teams up with local, women-owned manufacturer, LUNA Textiles®, to create the Scarlett—an elegant, protective sleeve, now available in custom sizes for the new iPad Pro 9.7 inch and Mac laptops. The Scarlett Sleeve—designed for bold, creative and tech-savvy women— is available for pre-order from PERALTA today. 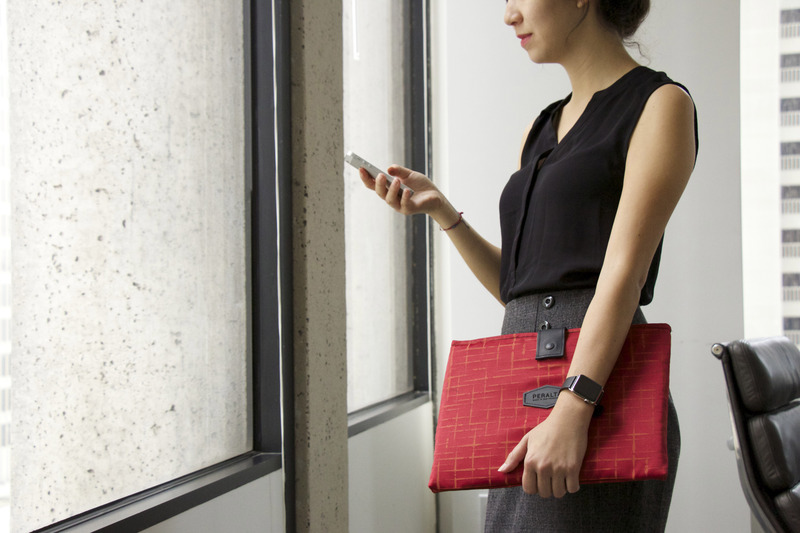 I designed the Scarlett Sleeve to be both functional and beautiful by dressing up a very protective case with sophisticated textiles from LUNA ®, another San Francisco maker. 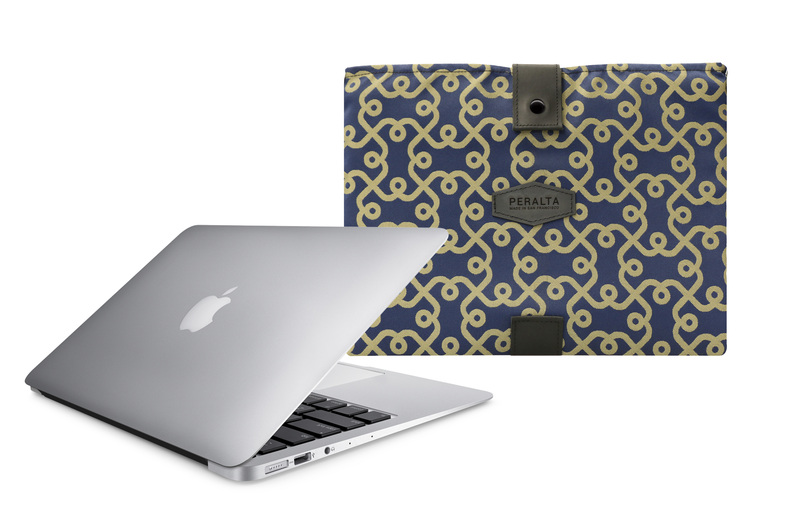 PERALTA San Francisco, a local maker of elegant bags and cases for tech-savvy women, extends the PERALTA Scarlett Sleeve line with custom-sizes for the new Apple iPad Pro 9.7 inch and for Mac laptops. 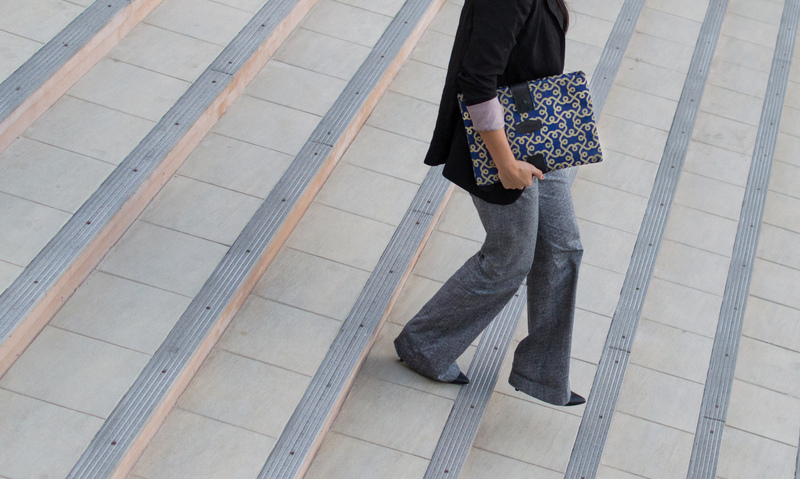 In a choice of two sophisticated, water-resistant LUNA® fabrics or in classic black ballistic nylon, the Scarlett iPad and MacBook Sleeve supports bold, smart, and creative women in their multiple roles, keeping them organized, confident and looking beautiful. The PERALTA Scarlett Sleeve combines shock-absorbing, protective cushioning and a scratch-free liner, with a water-resistant shell, to protect women’s tablets from dings, scratches and reasonable drops. A designated Apple Pencil slot in the iPad Sleeve sizes keeps this vital accessory easily accessible. 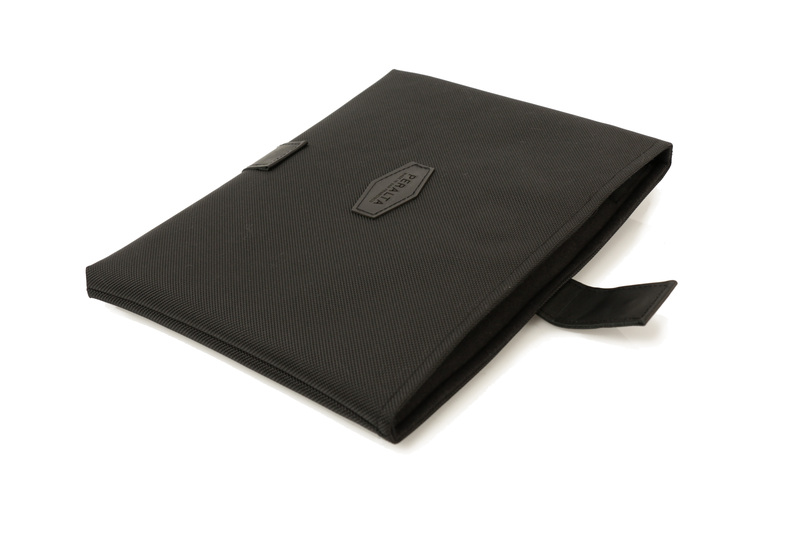 The Scarlett Sleeve now accommodates the Apple iPad Air, iPad Pro or Mac Laptops in custom sizes for each device. 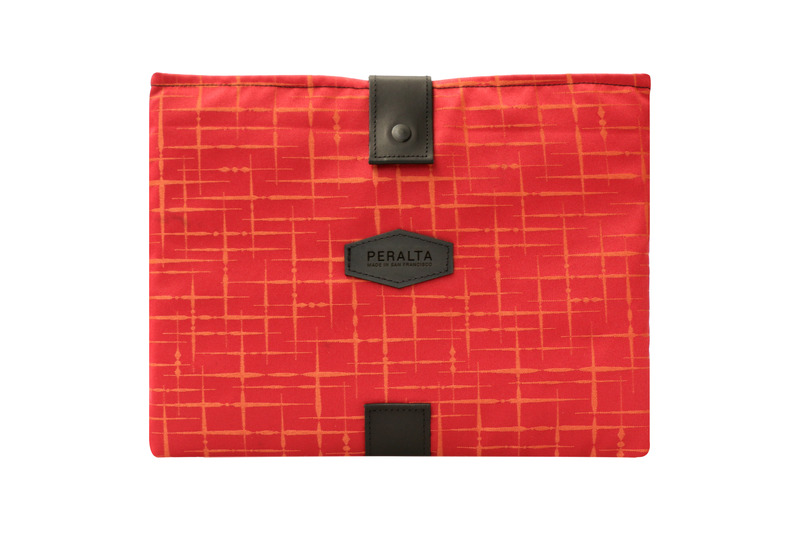 Women can choose from PERALTA’s classic, sturdy black ballistic nylon or LUNA® textiles’ regal, gold on blue “Plaza” or red on red “Gala” fabric. Luna’s Nanotex® technology adds durability and water-resistance to these elegant fabrics. A premium leather strip closes with a secure, yet easy-to-use hidden magnet to hold the laptop in place, and a bottom leather tab helps guide removal of the laptop from the sleeve. The Scarlett Sleeve joins PERALTA’s line of bags and cases to support women in their busy daily lives, including the Balani women’s laptop backpack, the Abby iPhone Case, the Etta Accessories pouch and the PERALTA leather tether for keys and organizational pouches. All PERALTA products are designed and handcrafted in San Francisco to support the diverse array of successful women in all that they do. 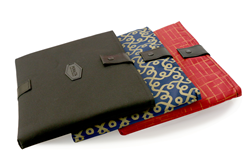 Colors and Materials: Black ballistic nylon or blue on gold “Plaza” or red on red “Gala” Luna® fabric. Black full-grain leather details. Magnetic closure. Custom sizes available: iPad Pro (both), Macbook 12-inch, Macbook Pro Retina 13-inch & Air, MacBook Pro Retina 15-inch. Available for pre-order at peraltabags.com. Shipping begins by March 31, 2016 for laptop sizes; TBD for iPad Pro size. Price: $279. Blue or black coated taffeta, or black ballistic nylon. Black full-grain leather details. Waterproof zippers. 16 x 11.25 x 5.8 inches. 2 lbs. Price: $25. Blue or black taffeta. Black ballistic nylon. Waterproof zipper. 8.5 x 6 inches. 2.2 oz. Price: $19. Black, full-length tether. Black metal carabiners. 1 oz. 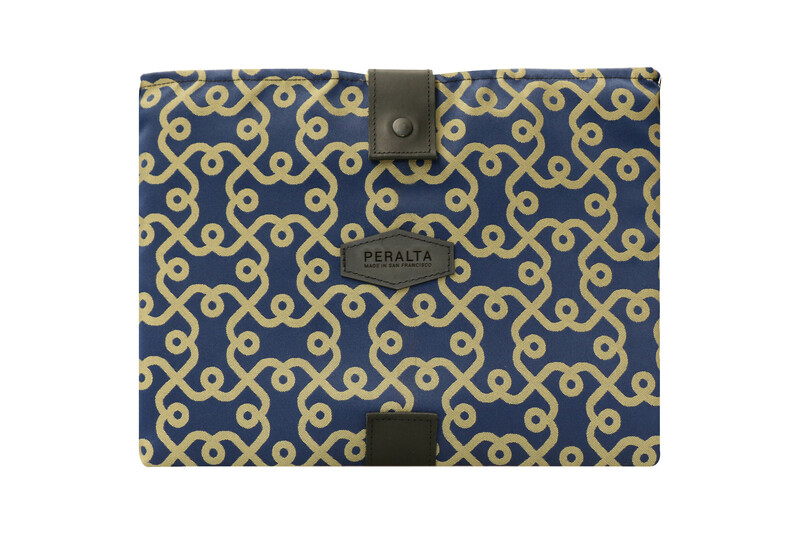 PERALTA designs bags to support bold, smart, and creative women in the many roles they play throughout the day. The bags are thoughtfully designed to keep women comfortable, confident and organized. 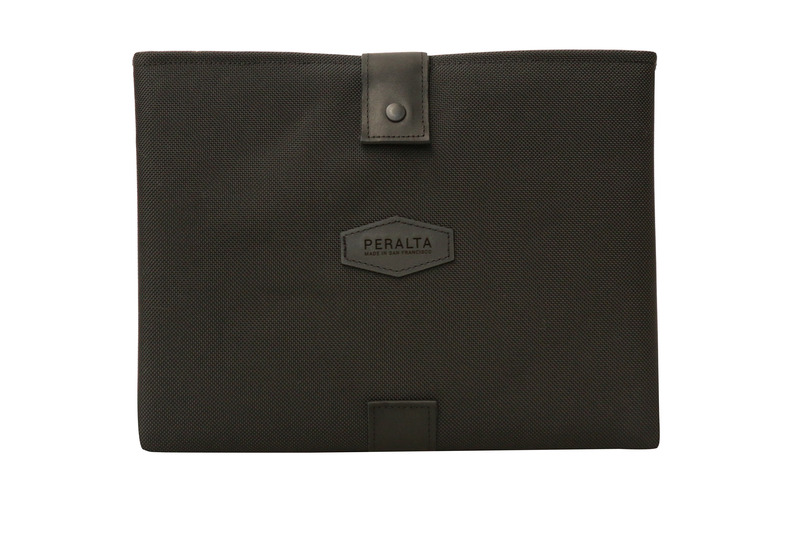 PERALTA is a subsidiary of WaterField Designs, a San Francisco maker of bags and cases for tech-savvy consumers since 1998. For more information, see “Our Story” at the PERALTA website. Luna Textiles was founded in San Francisco in 1994 by Anna Hernandez who wanted to introduce textiles with a new sense of style to the furniture market. From the beginning, Luna’s message has remained consistent: it’s about design. Luna continues to win the industry’s most prestigious design awards year after year. As is a member of the USGBC and the association for contract textiles sustainability initiative, Luna is focused on continually improving environmental sustainability. Luna is a woman- and minority-owned business. Scarlett iPad Pro Sleeve—black ballistic nylon PERALTA Scarlett MacBook Sleeve—"Plaza" blue and gold fabric Scarlett iPad Pro Sleeve Scarlett iPad Pro Sleeve—black ballistic nylon; invisible magnet closure PERALTA Scarlett iPad Pro Sleeve PERALTA Scarlett iPad Pro Sleeve PERALTA Scarlett MacBook Sleeve—"Plaza" blue and gold fabric Scarlett iPad Pro Sleeve—"Plaza"